Dated March 31st 1972. 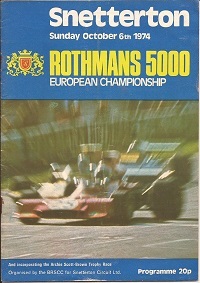 Includes ATV Sports Car Race, and BRSCC Saloon cars. In good condition with some pen inscriptions. Dated October 6th 1974. 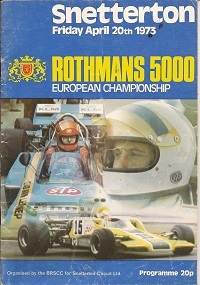 Includes Formula Ford, & Touring car races. Good condition with some pen inscriptions. Dated April 20th 1973. 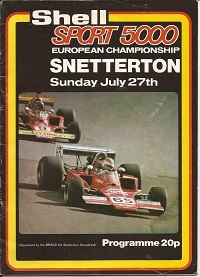 Includes sports car races, BRSCC Saloon cars, and more. In good condition with some pen inscriptions. Dated July 27th 1975. 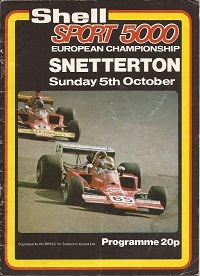 Includes saloon car races with Radio 1 DJs at the wheel. In good order with some pen inscriptions. Dated October 7th 1973. 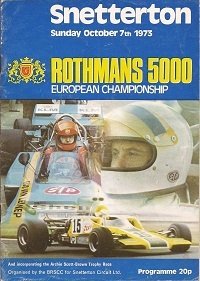 Includes Formula Ford, saloon cars and sports car races. In good condition. Dated October 5th 1975. 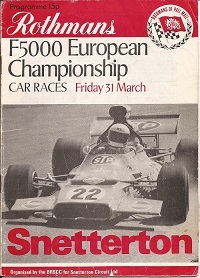 Includes saloon car, sports car, and Formula Ford races. In good condition with some pen inscriptions.